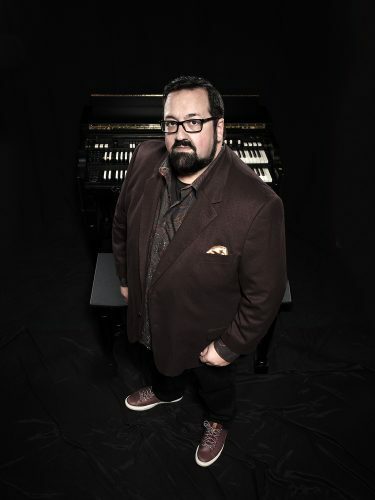 Joey DeFrancesco’s emergence in the 1980s marked the onset of a musical renaissance. Organ jazz had all but gone into hibernation from the mid-’70s to the mid-’80s until DeFrancesco reignited the flame with his vintage Hammond organ and Leslie speaker cabinet. The son of “Papa” John DeFrancesco, an organist himself, the younger DeFrancesco remembers playing as early as four-years-old. Soon after, his father began bringing him to gigs in Philadelphia, sitting in with legendary players like Hank Mobley and Philly Joe Jones, who quickly recognized his talent and enthusiasm. With a natural gift for music, DeFrancesco also swiftly picked up on the trumpet after a touring stint with Miles Davis as one of the two youngest players ever recruited for any of Davis’ ensembles.